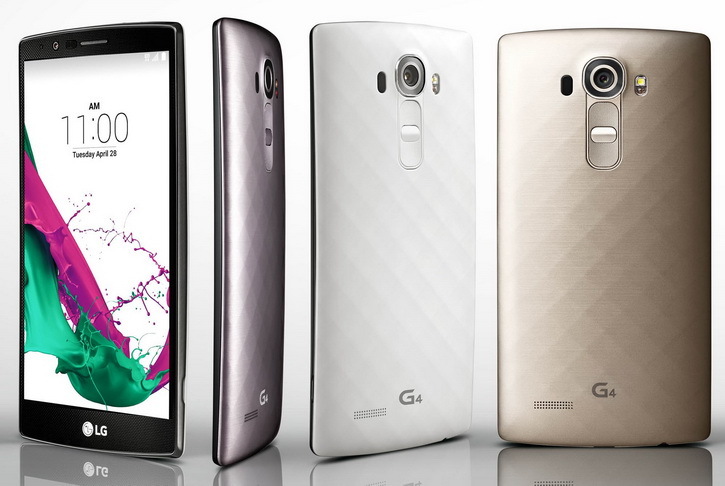 So, you weren’t very impressed by the leather back cover or the 3D diamond pattern from the rear panel of the LG G4? Then you are waiting for a design overhaul, which will blow your mind, and LG is willing to make some changes in this direction, as, according to the rumors, the company will go for an all-metal body for the next G5. But there’s more to expect from this flagship, which will most likely feature an eye scanner that will be able to read user’s eye from a distance of up to 50cm. There’s only a month left until the IFA 2016 event will kick off, which is the biggest trade show for consumer electronics and home appliances, where lots of mobile phone manufacturers present their latest gadgets. Then, MWC will be held on February 22 and with this occasion Samsung will unveil its Galaxy S7 flagship, and if last year, LG has preferred to wait until April to release its G4 flagship, the latest rumors suggest that the successor could be launched in Q1 of 2016, earlier than the G4. On December 10, a new report has surfaced, saying that LG has plans to release the G5 in February, and some Taiwanese sources have provided the specs of the upcoming G5, so below we’ll tell you everything that is known so far. Obviously, the G5 will be a phablet likewise its predecessor, but the size of its True HD IPS screen will be increased by 0.1-inch, measuring 5.6-inch, and the resolution will be upgraded from QHD to 4K, which is 3840 x 2160 pixels. Most of the flagships which will be released in 2016 will have 4K displays, and there are already many current smartphones which are capable of shooting 4K videos. Microsoft has introduced an eye scanner into its Lumia 950 and 950 XL smartphones and the users can unlock their devices by looking directly to the scanner. So, biometric sensors seem to be the new technology that will create some waves in 2016. Fingerprint scanners had their moment of glory, especially after they revolutionized Apple’s iPhones which supported TouchID and, later, Apple Pay. Every year, mobile phone manufacturers must come up with new technologies, in order to be ahead of the competition and to impress consumers, and 2016 will be the year when screens will support a 4K technology, but to unlock them, the users will look at the sensor and the device will recognize their iris. It seems that LG is collaborating with a South Korean-based technology company named IRIENCE, which is specialized in eye-scanning technology and its sensor will be able to read the user’s eye from a distance of 50cm, with the condition to hold the device correctly. Apple, HTC, Huawei are a few of the companies that rely on full-metal bodies for their smartphones, and even Samsung has some devices with mid-range specs, but their exterior is made of aluminum. 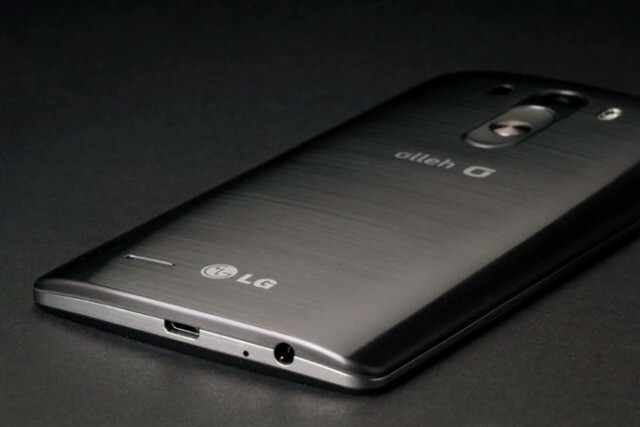 LG has taken into consideration the possibility to improve the design of the LG G5, which, according to reports, it will be the company’s first full-metal handset. A uni-body design has its disadvantages, though, such as the removal of the microSD card slot, and the battery is fixed, so when its life will start decreasing, there’s nothing you can do to save your phone, so you’ll throw it away instead of charging it every few hours. The LG G5 will be among the first flagships to run on the upcoming 8-core Snapdragon 820 processor built with a 14nm process and clocked at 2.2-3GHz. This processor will support 4K displays, so the rumor about the G5 supporting this resolution is realistic. The X12 LTE modem will offer: LTE Advanced speeds; Cat 12 (up to 600 Mbps) in the downlink and Cat 13 (up to 150 Mbps) in the uplink; 2×2 MU-MIMO (802.11ac); Wi-Fi/LTE antenna sharing; Call Continuity across Wi-Fi, LTE, 3G, and 2G networks; 4×4 MIMO on one downlink LTE carrier; Multi-gigabit 802.11ad etc. It is speculated that the RAM capacity will be 4GB, but it is also said that the Snapdragon 820 model will support up to 6GB of RAM. Regarding the internal memory, it’s expected to come in three variants of 32, 64 and 128GB and because of the rumored uni-body design, the device won’t be equipped with a microSD card slot. But maybe LG will find a way to combine these two features. The previous G4 has a primary camera of 16MP with OIS, LED flash, 1/2.6″ sensor size, 1.12 µm pixel size and an f/1.8 aperture, while its front camera supported 8MP. The G5 will come with upgraded cameras which will have increased resolutions of up to 20MP (back) and 10MP (front). The iris scanning technology will be hidden inside the front camera. The battery will be enormous, supporting a capacity of 4000mAh, which will be accompanied by the Qualcomm Quick Charge 3.0 Technology. With this feature, the battery will be charged up to 85 percent in just 35 minutes.